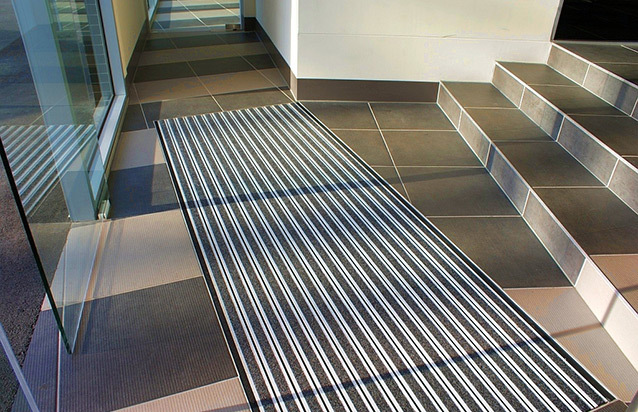 StepRight® is design and manufactured in Australia from heavy duty anodised aluminium treads. 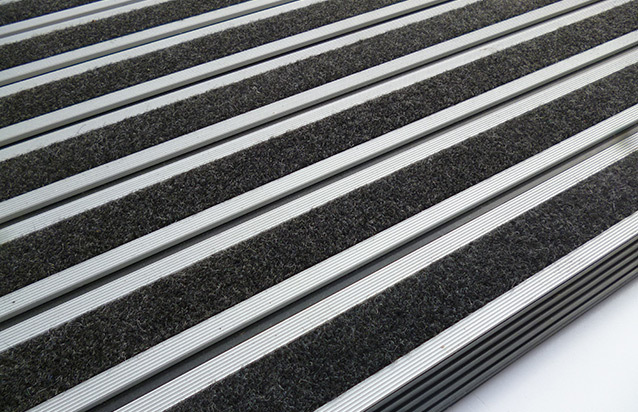 StepRight® entrance matting stops dangerous levels of moisture and grit from entering buildings.The unique construction integrates strong heavy duty treads of aluminium with a flexible rubber cushioning web which provides excellent durability, pedestrian comfort and excellent grit stripping performance. Charcoal, Grey, Blue, Green, Red and Brown. 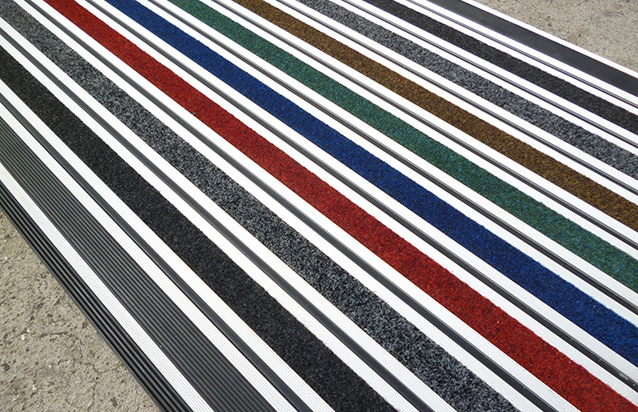 StepRight® architectural entrance matting is design and manufactured in Australia from heavy duty anodized aluminium treads to provide an attractive, safe and easily maintained barrier between internal building conditions and the external environment. 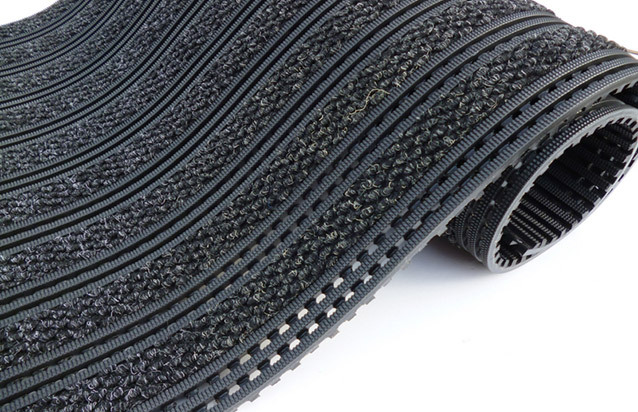 As the first line of defense, StepRight® entrance matting stops dangerous levels of moisture and grit from entering buildings. This provides ongoing protection of internal flooring surfaces by reducing the transfer of grit and other stone particles.